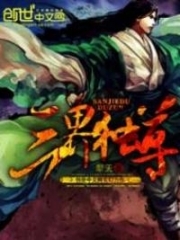 You’re reading novel Chaotic Sword God Chapter 1433 online at LightNovelFree.com. Please use the follow button to get notification about the latest chapter next time when you visit LightNovelFree.com. Use F11 button to read novel in full-screen(PC only). Drop by anytime you want to read free – fast – latest novel. It’s great if you could leave a comment, share your opinion about the new chapters, new novel with others on the internet. We’ll do our best to bring you the finest, latest novel everyday. Enjoy! "I hope this energy crystal can help me reach the fifth layer of the Chaotic Body successfully," Jian Chen murmured to himself as he gazed at the energy crystal in his hand. This was one of the two Cla.s.s 10 Xuanhuang beast energy crystals he had obtained back in the Xuanhuang Microcosm. "Back then, I was too weak and lacked an understanding of the Origin realm, so it was difficult for me to distinguish energy crystals beyond the 9th Cla.s.s. Now that I look at it, this energy crystal is nowhere near the 10th Cla.s.s. It's at least a Cla.s.s 11 or even a Cla.s.s 12 crystal, and this was also the weaker energy crystal out of the two I obtained. The other energy crystal must have reached the 13th Cla.s.s at the very least," Jian Chen gently rubbed the energy crystal with his thumb. His eyes grew brighter and brighter as they became filled with his eagerness. If it were not for the Icesoul, Jian Chen would not have chosen to absorb one of the two most powerful energy crystals he had ever obtained, because he was not confident that one would be enough for him to break through. The energy crystal was of an extremely high quality, but it was akin to monster cores after all. The benefits it could bring were nothing like the Icesoul or the high grade Violet Cloud Peaches, so even if he absorbed it, he would not break through. However, he had now reached the peak of the fourth layer with the Icesoul. This was the best moment for him to make a breakthrough. Jian Chen sucked in a deep breath and slowly calmed himself. He immediately gathered his concentration and devoted himself to refining the energy crystal in his hand. He planned to reach the fifth layer in a single stroke. The fifth layer of the Chaotic Body was extremely significant to Jian Chen. Not only would it drastically increase his strength, but it would give him the ability to refine the Yinyang Saint Rock. Seven days later, a loud crack finally rang out. Jian Chen was filled with eagerness. A ball of extremely terrifying Chaotic Force filled his body, and at that moment, his body suddenly began to swell. He became a giant, as if he had been blown up like a balloon. Every breakthrough of the Chaotic Body would be equivalent to the chaotic neidan shattering, and each shattering would bring tremendous pain. The muscles on Jian Chen's face twitched as his forehead became covered with cold sweat in a single moment. His face had already paled. Even though his chaotic neidan had already shattered several times before, he still found the ripping pain unbearable. 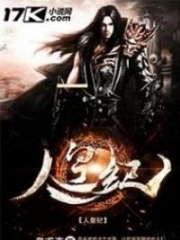 However, Jian Chen was willing to accept a great increase in strength for bearing with the intense pain. 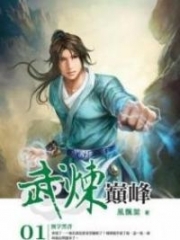 You're reading novel Chaotic Sword God Chapter 1433 online at LightNovelFree.com. You can use the follow function to bookmark your favorite novel ( Only for registered users ). If you find any errors ( broken links, can't load photos, etc.. ), Please let us know so we can fix it as soon as possible. And when you start a conversation or debate about a certain topic with other people, please do not offend them just because you don't like their opinions. You're reading Chaotic Sword God Chapter 1433. This novel has been translated by Updating. Author: Xin Xing Xiao Yao already has 3453 views. Current Time is Apr-22-2019 18:12:28 PM.